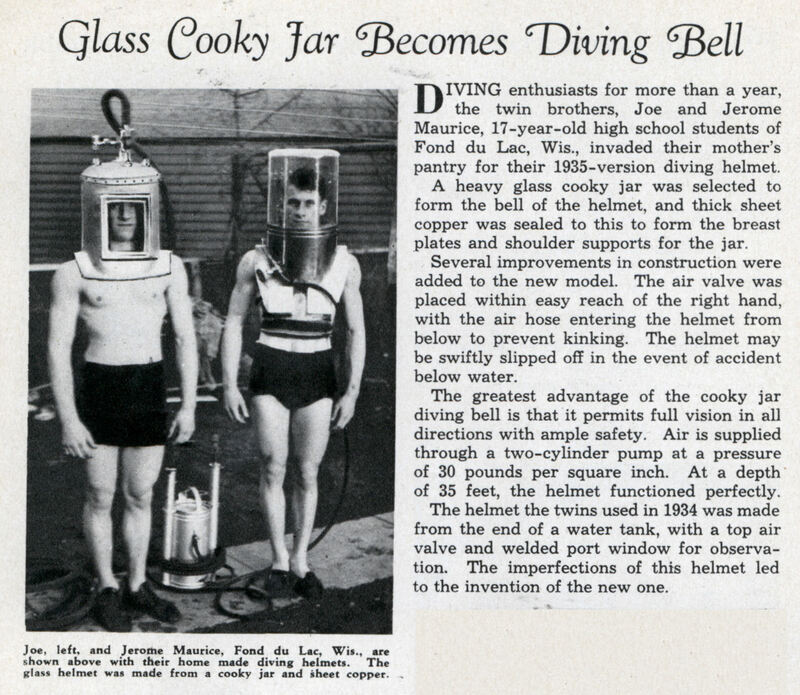 DIVING enthusiasts for more than a year, the twin brothers, Joe and Jerome Maurice, 17-year-old high school students of Fond du Lac, Wis., invaded their mother’s pantry for their 1935-version diving helmet. A heavy glass cooky jar was selected to form the bell of the helmet, and thick sheet copper was sealed to this to form the breast plates and shoulder supports for the jar. Several improvements in construction were added to the new model. The air valve was placed within easy reach of the right hand, with the air hose entering the helmet from below to prevent kinking. The helmet may be swiftly slipped off in the event of accident below water. The greatest advantage of the cooky jar diving bell is that it permits full vision in all directions with ample safety. Air is supplied through a two-cylinder pump at a pressure of 30 pounds per square inch. At a depth of 35 feet, the helmet functioned perfectly. 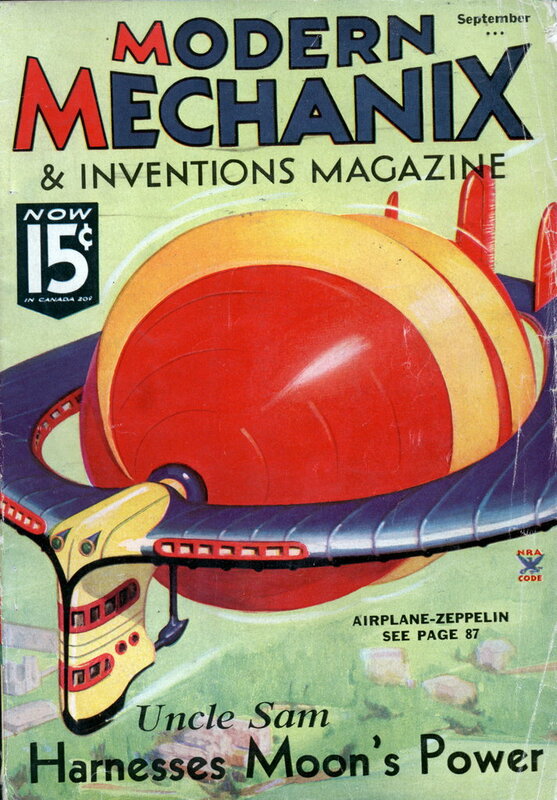 The helmet the twins used in 1934 was made from the end of a water tank, with a top air valve and welded port window for observation. The imperfections of this helmet led to the invention of the new one. By which they mean to say they used to be triplets. That’s a pretty crappy artist’s touch-up job on the helmet on the left!